Hull City Association Football Club (nicknamed The Tigers), are a professional football club based in Hull, England. They were founded on 28 June 1904 after previous attempts to found a football club had proved difficult because of the dominance in the city of rugby teams such as Hull FC and Hull Kingston Rovers. 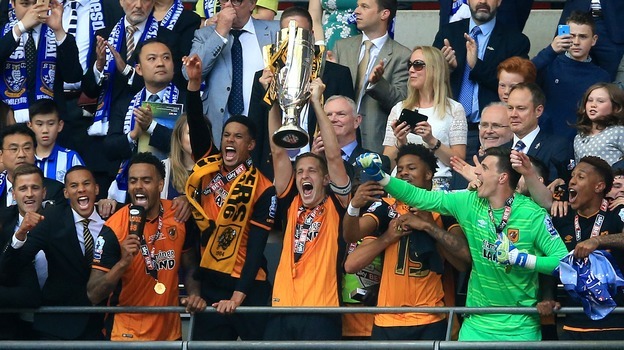 Hull's greatest achievement in cup competitions until 2014 was in 1930, when they reached the FA Cup semi-finals. The cup run saw Hull knock out the eventual champions of the Second and Third Divisions; Blackpool and Plymouth Argyle. They then knocked out Manchester City, and Newcastle United in the quarter-finals. After decades of turbulence, and languishing in lower leagues, Hull had a revival in fortunes at the start of the 21 st century - earning back to back promotions to the Championship in the mid 2000s, and subsequently to the Premier League in 2008. Hull's most prominent rivalries include Leeds United and Sheffield United; and they play their home games at the KCOM Stadium, Kingston upon Hull. Play a strong team, win the tie in the first leg and build up momentum for the Liverpool game. Should be another routine game like today which would make the second a formality. Hopefully the manager change has a negative effect too. Is what I'd play. No chance of it, as herrera and Ibra and probably miki and de gea will be back in, but I would keep a rotated squad for this. This will be his 2nd game. That is a very poor side and would cause us problems. Hull arent that bad, just cant seem to take their chances though. A weaker side then that just comefortably beat reading who are probably better then Hull most of the time... we'd be fine. That really isnt true at all. I have watched quite a number of Hull perfomances this season, and I can attest that they are a decent side. Saw them against City and Everton recently, and they look much better than their results suggest. Thats why I felt Phelan was really hard done by. I think Marco Silva will play his first team today (if he figured that by now), or will he rest them for us? We've got 5 days after this game compared to Liverpool's 4. Resting players is great but they're super fit athletes, they don't need more than a week to get their fitness up. Momentum and rythum are super important at this stage of the season. I reckon he'll start a strong team and hope to kill the tie off in the first leg. SUBS - Rashford (Martial), Rooney (Mkhitaryan), Mata (Herrera). Could be something like that. I don't mind resting players, but if it is too long it is easy to go from rested to rusty. I don't see why we shouldn't start at least 9/11 of our best XI. Rojo an obvious doubt and rest De Gea. Tuesday to Sunday is plenty of time for a rest. We should kill this tie off in the first leg. Whats the record for number of games unbeaten that Madrid hold? hammered Hull, so I really don't get why it would cause us problems considering we would have pogba in there anyway? Saying all that, I'm sure Mou will pick a strong team, I just think that a team like the one today would be fine to give Martial/Rashford and some other fringe players more of a chance, while giving Carrick, Ibra, Valencia more of a rest. It'll be interesting to see how Mourinho approaches this one. I think he'll want to play a strong side because it's a semi-final but the Liverpool match surely has to take priority. They matched Barcelona's record today with 39 unbeaten. 1. Juventus: 43 games unbeaten under Antonio Conte. 2. Milan: 42 games unbeaten under Fabio Capello. 3. Nottingham Forest: 40 games unbeaten under Brian Clough. 4. Real Madrid: 39 games unbeaten under Zinedine Zidane with the latest win over Granada. 4. Barcelona: 39 games unbeaten under Luis Enrique. But the five days rest give him some assurance. The problem is injury prone players, like Jones. I think Jose will want to get the job done in the first leg and will field a stronger line-up than today. Doubt Carrick will play with his injury. But then, it may not be as bad as it looks. I missed the game, but I thought it was Rojo that came off injured? Does luck actually exist or is it a mere coincidence? Yes. And he looks a doubt even against Liverpool. but Carrick had blood pouring from a head injury. Though he played on for a while after before being subbed. Stronger team than today but still wouldn't start Zlatan and Pogba. Doubts: Jones might be spared, as well as Carrick; Martial might feature, but could as well be Rashford (or Lingard). Lingard and Rashford to start. Pogba to play since theres a big enough gap to Liverpool game. Mourinho wouldn't do that. They might forget how to play. I was hoping that Zlatan and Martial could be rested. But since the Liverpool game is on a Monday, then I guess it will be good that they play. Hull apparently has lot of defensive injuries. Davies and Maguire were out of the FA Cup game and Dawson came out injured during it. Jose did imply that the ones not playing today would play against Hull? Reckon a lot of first team players come back in here to try and kill this tie in the first leg, especially with the Liverpool game being five days after this. Namely Valencia, Herrera, Pogba, Mkhitaryan, and Ibrahimovic - maybe De Gea too. Smalling and Jones will have to continue at CB now, though I think that's the pairing Jose was going to use even before the Rojo injury. Then it's just a case of who keeps their place out of Rashford, Martial, Rooney and Mata (or if Fellaini or Schweinsteiger are kept as more of a conventional midfield three). Not sure who will play Left Back, hopefully Shaw can at least feature. Something like that. Rooney could be Mata, Fellaini or Bastian. Shaw could be Darmian, Rashford could be Martial or Lingard. Try to kill the game 2 or 3-0 by 60-70 minutes, get three of Shaw/Zlatan/Herrera/Mkhitaryan/Pogba off. Carrick and Blind come back for Liverpool, probably Martial too. 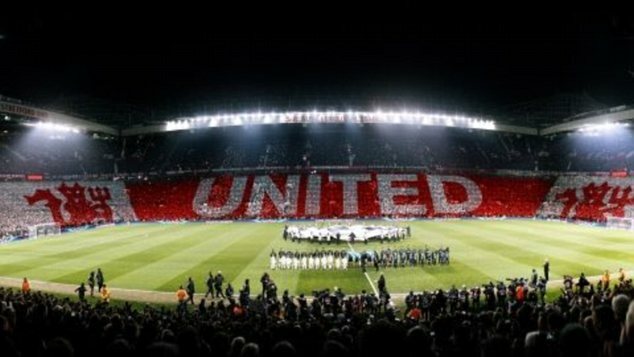 Jose confirms that Valencia, Herrera, Pogba and Ibrahimovic will start this game. Those were the easy ones!